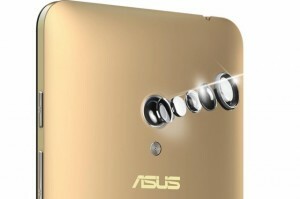 Since Asus decided to enter the world of mobile phones, we’ve been getting some interesting designs. 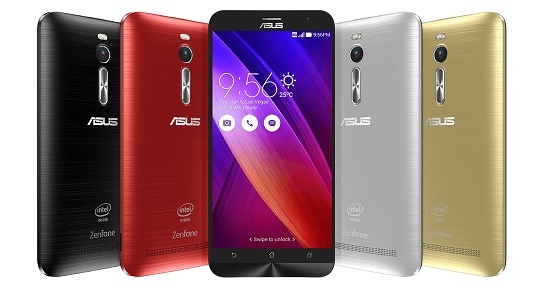 Let’s take a moment to look at the ASUS ZenFone 2, which was just released to Canadian citizens on May 19th. It features top end internals coupled with lower end externals and is a cheap and readily available option to upgrade to Android 5 Lollipop. The phone can also accept 2 SIM cards. The ZenFone looks great, but feels cheap in hand. It’s made of plastic with the look of brushed metal. It’s actually thicker than the HTC One M9 and the LG G4, and the power button is awkwardly placed, too. Fitted near the middle on top of the phone with next to no tactile feedback, it’s a bit of a hassle trying to turn off the screen. 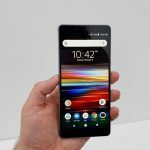 Granted, the volume rockers are located on the back of the phone by the camera with a very distinct click feeling, so not all the buttons are bad. The capacitive buttons (home, return, and recent apps) are not quite what you’d expect them to be. They’re not virtual buttons that are located on the actual display like the Nexus, phones, nor do they light up, like on the Samsung phones. This makes for an annoying time trying to use the keys. You’ll likely grow into them over time, but it’s just not the same having to fumble around with the keys without really being able to see what you’re pressing. The phone has rear facing speakers like the Note 4, spread out in little dots over a larger surface area like the One M9. This does not make for a very good combination; the sound quality was not too bad, but it wasn’t exactly great, either. We will guess that talking to people on speakerphone will be your last choice of communication. The battery door is removable, but the battery is not. The phone comes in Osmium Black, Sheer Gold, Glacier Grey, Glamor Red, and Ceramic White. Unfortunately, the average exterior of this phone is coupled with an average display. The ZenFone 2 has Gorilla Glass 3 shielding a 5.5 inch display that features 1920×1080 pixels.It uses an LED display which really pales in comparison with others that use Super AMOLED. Although we’ve proven that you can have a bright and gorgeous screen even with a low level of pixels with, this phone does not meet that expectation. The display is neither bright nor vivid–especially when compared to other, more premium phones. The ZenFone 2 comes with a 3000mAh non-removable battery. 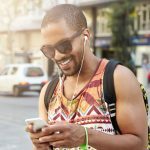 It has a feature that acts similarly to Qualcomm’s quick charge, allowing the phone to charge from 0 to 60 in less than an hour. But, keep in mind that this quick charging feature is available only in the higher spec version of the phone, which also provides 4GB of RAM and a better processor. We have no word yet on whether the phone will be compatible with wireless charging. The phone will be available in two separate models: a higher grade version featuring the Intel Atom Z3580 and 4GB of RAM and a lower spec version with the Atom Z3560 and 2GB of RAM. 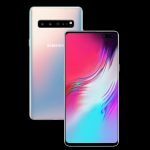 Both versions will support expandable memory in the form of a microSD memory card and both will be able to handle high-resolution games and other forms of entertainment. The phone sports a 13MP primary camera with dual-LED flash and a 5MP front camera. We usually aren’t the pickiest when it comes to cameras, but we really can’t say that we’re impressed with this one. It’s a Toshiba made camera that really does not belong in 2015. It requires a significantly large amount of light just for decent photos and does not produce very clear photos in lowly-lit environments. Normally, we would say that this camera would do the job for the casual photographer, but photographic bloggers beware! The photos of your meals, your dog, or basically anything captured indoors may not appear crisp or even clear. If you’re not keen on taking many photos or keeping up with a food-blog, then this camera may suffice. 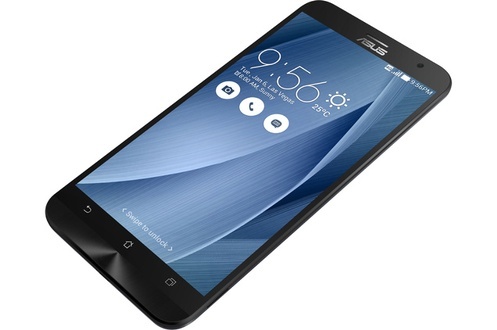 Canadians will rejoice as places such as NCIX and Memory Express, the ZenFone 2 will now carry the phone. The lower and higher end versions sell for $249 CAD and $379 CAD, respectively. This is a very important selling point for the phone. 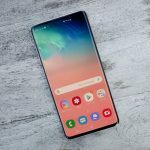 It may have great internals, but the affordable price-tag will be very attractive for those in the market for a smartphone that can do everything a flagship can. Overall, the phone is an average phone. The best thing that it has going for it is the on-par processor and the nearly-ridiculously-cheap price. Anyone who wants to venture into the world of Android, wants a smartphone that will do the job, or just a cheap, usable phone will find that the ZenFone 2 will perfectly suit your needs. Will you be purchasing the ZenFone 2, or have you already purchased one? Places are quickly selling out of the cheaply made, heavy hitting Taiwanese phone. Let us know in the comments below!